The election of the McGowan government brought a sigh of relief for supporters of the Safe Schools Coalition anti-bullying program. While the Barnett government had voiced complete opposition to the program, the newly elected Premier has been steadfast in his commitment. The fight to protect the program, ensuring that young LGBT Western Australians were not bullied in schools, and correspondingly make an impact on the high level of suicide among gay, lesbian, bisexual and transgender people appeared to be back on track. But just months after the election, as the federal government’s funding of the program draws to a close, the campaign to remove the program shows no signs of abating. The program which aims to provide teachers with the necessary resources to curb bullying of LGBTI high schools students had been a focal point of the state election. After more than a year of attacks on the program by right wing politicians, conservative media, churches, religious lobbyists and family groups, the federal government decided to pull the plug on the program’s funding and leave the issue up to the states. At the election the major parties took clear positions on the program’s future. The Greens and Labor would support the ongoing funding of the program. The Barnett government would axe the program. 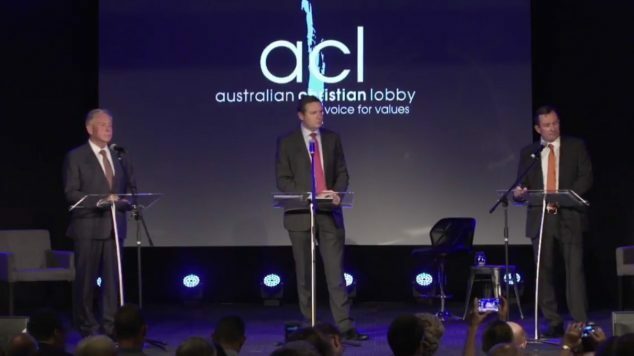 At a debate hosted by the Australian Christian Lobby the issue was one that showed a clear difference between the Labor and Liberal parties. 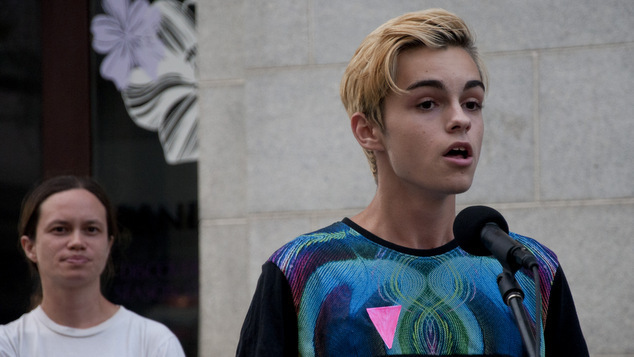 “A lot of young people who identify as gay are very likely to commit suicide. It is a major problem amongst young people of school age who identify as being gay or homosexual. “There are also problems with young people who identify as being gay being bullied at school.” Labor leader Mark McGowan said, voicing his support for the program. Premier Colin Barnett told the audience that while he’d never read the contents of the program he was firmly opposed to it. 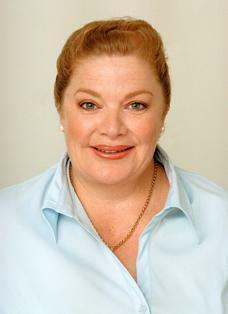 Barnett said the program encouraged promiscuity, even among primary school students. The Premier made it clear that transgender youth weren’t going to find much support from his government. 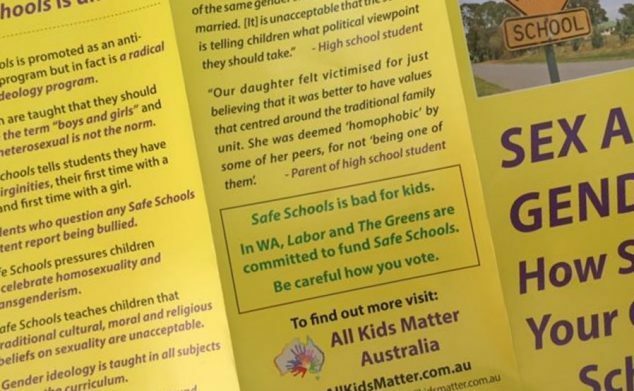 Dozens of Perth suburbs letterboxes were filled with flyers claiming the program was a danger to students. In the final weeks of the election three different sets of flyers from lobby groups were highlighted by OUTinPerth. Despite the program not being delivered in any Western Australian primary schools, Liberal MPs continued to claim that it was during the final week of the campaign. Government Minister Joe Francis claimed the program was offered to four year old’s, and that children were told they could change their gender on a daily basis. “I’ll never accept that it is okay to teach a child as young as four that they can choose, and change, their gender on a daily basis and that they can lose their virginity twice, once to a boy and once to a girl, and you as a parent cannot opt out of this.” Francis claimed in a now deleted video. Southern River MLA Peter Abetz also posted a video claiming the program utilised a book aimed at pre-school children. The claims of both politicians were confirmed to be false by both the national office of the Safe Schools Coalition and the WA AIDS Council who facilitate the program in Western Australia. The election saw both Francis and Abetz lose their seats with massive swings against them. In Southern River Abetz’s successor was Labor’s Terry Healy, a school teacher who had seen first hand what the effects of the Barnett government’s cuts to education were. On election night Healy told his supporters that he was glad to be part of the team that will ensure WA students will still benefit from the anti-bullying Safe Schools project and better educational opportunities. “I got in this because the kids in my high school were being attacked,” Healy said. “We had funding cuts. We had TAFE fees increasing. 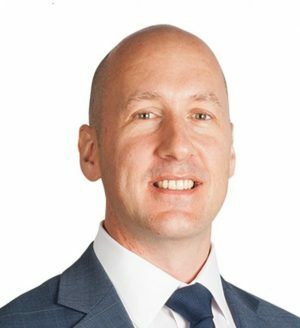 Last month the New South Wales government announced it would not be supporting the Safe Schools Coalition program once its federal funding concluded. Instead a new more generic anti-bullying program would be rolled out that had less of a focus on LGBT bullying, opting for a more generic approach. NSW Education Minister Rob Stokes said the government was still committed to making sure NSW schools remained supportive of those who are struggling at school. Soon after Tasmania also announced they would be developing their own program. The Safe Schools Coalition National office said despite losing the support of the two state governments they remained committed to the delivery of the program in other states. “Safe Schools Coalition Australia (SSCA) remains committed to ensuring that all LGBTI young people, no matter where they live, can learn in a safe and inclusive environment, where everyone is treated with dignity and respect. We will continue to build the capacity of teachers through professional development in 2017.” a spokesperson told OUTinPerth. 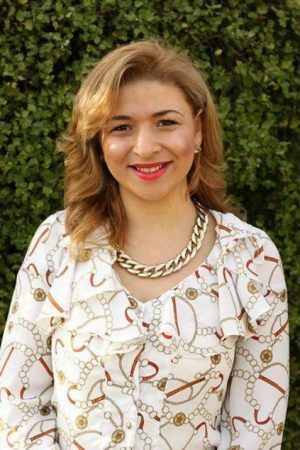 Dahlia Messiha, the Australian Christian Lobby’s Western Australian Director, spoke to Gareth Parker on radio station 6PR and called for the program to be scrapped, saying it was deeply rooted in a socialist ideology. “Instead of learning about gender theory children should be taught to love and respect each others differences, whatever they may be.” Messiha said. Messiha said the money being allocated to the anti-bullying program should be used to improve academic performance, adding that the time school students spend attending sessions designed to combat bullying could be better utilised. “Instead of that money being used to create better academic programs, you’re now spending however long in a classroom with all the children learning about theories, that are just theories, at the end of the day.” Messiha said. The ACL’s state director said that because LGBTI youth were a tiny minority, the actual number of students being bullied was very low. “Children are bullied for a number of reasons but gender and sexuality rates very low just because of the percentage of children that it actually affects.” Messiha said. Messiha said a more inclusive approach needs to be taken towards tackling bullying so that all types of bullying were covered. One Nation’s Charles Smith, who will begin his term in the Legislative Council later this month, voiced his opposition to the program on Twitter calling it “insidious”. OUTinPerth asked the member-elect what his party’s approach was to reducing bullying of LGBT+ students in schools, and what strategies One Nation (ONP) endorsed for reducing the high levels of suicide within the LGBTI community. When pressed for further details Smith’s response was not a blanket condemnation of the current program, a stark contrast to his previous Tweet. He said he was hoping to learn more about the issues LGBT teens faced and voiced his support for an effective anti-bullying program. Smith responded to OUTinPerth telling us that he was planning on meeting a well-known gay rights advocate in coming weeks to learn more about the challenges. “I hope to set up a team to investigate and to be briefed on the current problems, the effects on the victims, the support for victims and the accountability of perpetrators. “I am at this point a Member-Elect to the Legislative Council. I do however intend on having LGBTIQ bullying investigated by my team which I hope will result in making a recommendation to the One Nation Party (WA) as a whole so we can make quality submissions for the right protection and assistance for gay and lesbian people.” Smith said. Charles Smith said the he respected the judgement of teachers when it came to tackling bullying in schools. “ONP also fully supports teachers and their professional judgement in recognising the signs of bullying and the effects on those being bullied and to deal with the children and their parents appropriately. ONP stand for greater responsibility within society as a whole and that includes parental responsibility. OUTinPerth asked newly appointed Education Minister Sue Ellery if the government’s commitment to funding the Safe Schools Coalition remained. “If the Federal Government withdraws funding a McGowan Government will provide funding over four years to allow public secondary schools in WA to use the program if they choose.” Education Minister Sue Ellery reaffirmed. Ellery said the Western Australian government had no plans to make the program compulsory and it was up to each school to decide what best suited their needs. Premier Mark McGowan also voiced his continued support for the program in April when he spoke to Sydney based magazine Star Observer. “It saves lives and it saves anguish, it’s hard enough being a young person without having to go through bullying about your sexuality,” he said. “I remember being a 15-year-old – it’s a tumultuous time. “People don’t need that additional pressure.” McGowan told Matthew Wade. The importance of Safe Schools Coalition has often been argued by the Save Safe Schools Campaign (SSSCWA), a grassroots community group. While the group welcomes the state government’s commitment to supporting the program they argue that a national approach is a more effective solution. “SSSCWA is advocating for federal funding to be ensured to the program nationwide and for the Federal Government to recognise the importance of this program.” spokesperson Oscar Kaspi-Crutchett said. The group said the decisions in New South Wales and Tasmania to replace Safe Schools Coalition with a more generic program were of great concern. The group said there was nothing wrong with more generic bullying programs that address other forms of bullying but it was not necessary to remove a specific LGBT anti-bullying program to embrace programs that tackled other forms of bullying. Kaspi-Crutchett said statements made by the Dahlia Messiha from the Australian Christian Lobby failed to recognise the experiences of LGBT youth. “By playing down the widespread and often indescribable suffering of LGBT students in Australia, because we only form the minority, she is doing us all a great injustice. “Homophobic and transphobic bullying is a real issue for so many, we need a specialised program to combat it.” Kaspi-Crutchett said. The Save Safe Schools WA group said combating false information or ignorance about the program is one of the greatest challenges they face. “Misunderstanding of the objectives and practices of the Safe Schools Program forms a real problem in our advocacy. “Many individuals in the wider community have a limited understanding of the program and perceive it as fringe or even extremist. “Misunderstanding often props up the ideology of critics of the Safe Schools Coalition. I’m sure if those in the general public were able to talk to LGBT students who’ve had experiences with the program in action they wouldn’t be able to call it ‘insidious’ for much longer.” Kaspi-Crutchett said. 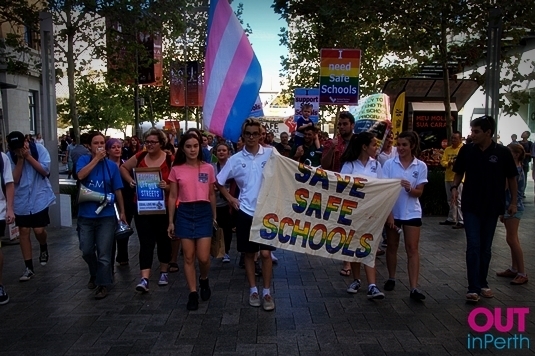 The Save Safe Schools campaign is holding a rally in the Murray Street Mall on 17th June.